Last updated: July 18, 2018 at 6:21pm by Savanah – The state’s poker room revenue was slightly down last year compared to the same period the previous year. Colorado passed a bill in June 2016 to regulate and legalize online daily fantasy sports (DFS) wagering. Colorado’s casinos continue to have a huge positive impact on its overall economy per study reports. They have a total of 40 land-based casinos, most include poker, and there is a good chance they will be one of the next six (6) U.S. states to legalize poker over the internet within their state. Their Attorney General, John Suthers, even mentioned that if passed it would be in the form of intrastate online poker. Before we get into what forms of gambling are legal in Colorado, let’s first take a closer look at the current laws they have in place. Below we highlight a few of the more significant statutes and definitions. Bona fide contests of skill, speed, strength, or endurance in which awards are made only to entrants or the owners of entries. Any game, wager, or transaction which is incidental to a bona fide social relationship, is participated in by natural persons only, and in which no person is participating, directly or indirectly, in professional gambling. Any use of or transaction involving a crane game. Colorado is a pretty strict state when it comes to their gambling laws. Although several of their laws are broad in interpretation, they take a fairly strong stance that if it is not mentioned in their law as a legal form of gambling, it is considered illegal which could include poker and playing poker over the internet. They are an interesting state because they are very liberal and flexible regarding the most controversial issues, like legalizing marijuana for example, which they did. With that being said, it could just be a matter of time before they change their stance on regulating online poker and adding it to their gambling laws. The state allows several main types of gambling that are legal. The main forms include the state lottery, pari-mutuel wagering, racetracks, charitable gaming, and commercial and Indian casinos. The Colorado Division of Gaming is a great informational resource. The Colorado Lottery started offering scratch game tickets in 1983. Since then, they have expanded their scratch games tickets and also offer four games they call “Jackpot” games; the Powerball, Cash 5, Mega Millions, and the Lotto. Their mission is to efficiently create and sell entertaining games of chance while committing to the highest standards of integrity to maximize proceeds for the people of Colorado. Profits are distributed to organizations that improve and support parks, recreation, open space, conservation education and wildlife projects. Lottery proceeds have funded projects in every Colorado county, city and town. 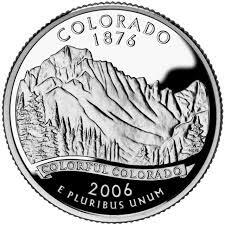 For more on the Colorado Lottery, visit their website. The Colorado Racing Commission is a five-member regulatory policy body appointed by the Governor. The Commission promulgates all rules and regulations governing greyhound and horse racing, has final authority over all racing licenses issued in the state, and they meet at least every other month. There are 38 commercial casinos and 2 Indian casinos in the state of Colorado. They entered into compacts with two Indian tribes, the Ute Mountain Ute Tribe and the Southern Ute Indian Tribe, to conduct casino style gaming on their reservation land. The Indian tribes are not subject to taxes and are not required to report their revenues to the State. The Indian casinos offer keno, slot machines, poker, blackjack, craps and roulette. In 2014, the latest numbers released, they paid more than $110 million in taxes. 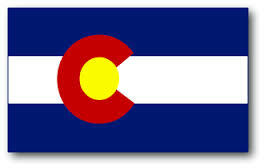 Colorado also permits recognized charities to hold bingo’s and raffles under the restrictive conditions set forth in its Bingo and Raffles Law. Non-profit organizations are required to secure a license from the Colorado Secretary of State’s licensing center.